*Restocking fees for products eligible for return will be waived only if Return Authorization is requested within 7 days of product delivery. Restocking fees will not be waived for the Karman products and Geri-chairs. If your item is defective or was damaged in shipping, please email or call us at 1-855-563-9900. 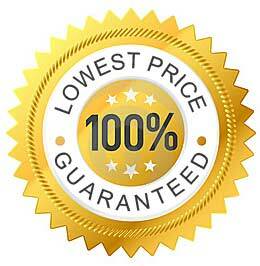 We will arrange for the item to be repaired or replaced promptly. At American Quality Health Products (AQHP), we are committed to a pleasant shopping experience. If you are not completely satisfied with your purchase, we will make every effort to give you peace of mind. Most of our products may be returned within 14 days of receipt and will be subject to a 15% restocking fee. (See exceptions below.) Please verify that your purchase qualifies for a return and adhere to the return policy guidelines to assure proper credit. All returned products require a Return Authorization number. You may email or call us at 1-855-563-9900 to request an RA number. Please include your order number, name and the item number you are returning. Products returned without an Return Authorization (RA) number will not be credited. A Return Authorization (RA) must be requested from AQHP within 14 days of actual delivery of the product. *For restocking fees to be waived, a Return Authorization (RA) must be requested within 7 days of actual delivery of the product. Restocking fees will not be waived for Karman products and/or geri-chairs. Once an RA has been received, products must be shipped within 5 days. A 15% restocking fee applies to all eligible returns, except when an RA was requested within 7 days. Product must be in new condition in the original packaging. For example, no cracks, scratches, dirty or marked tires, or any indications of usage. Product must be returned in its original packaging. Please call customer service to purchase new packaging for scooters and lift chairs. All parts and accessories must be included and in the original packaging. The cost of both the original and return shipping is the responsibility of the customer. 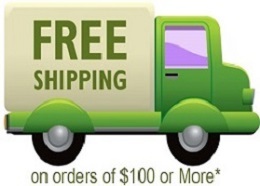 If your purchase was shipped for free, we will deduct our actual outbound shipping charges from your refund. Shipping charges, insurance, customs charges and white glove delivery charges are not refundable. If an item is returned to the wrong address, we reserve the right to charge for any additional shipping fees associated with shipping the item to the correct location. Unless American Quality Health Products made an error, the cost of return freight is the customer's responsibility. Once you've requested your RA number, please make shipping arrangements to return the product. We highly recommend insuring larger items for their retail value to protect against shipping damage. Shipping charges, including white glove delivery charges are not refundable. We understand that a return can be a result of change in circumstances, a simple mistake or something else. Unfortunately we can not accept all returns. We reserve the right to make adjustments based on typographical errors, product changes and discontinuations. Product images may not always represent the actual product. Special order or special request items. Items that need to be built i.e. Non Stock items. Custom items we make for you. Items you customize for yourself. Used items no longer resalable. Items missing packaging, parts, or instructions. Orders placed online can be cancelled prior to the order being processed and sent to the delivery queue for shipping. Some of our manufacturers ship almost immediately. Custom products cannot be cancelled after 24 hours. Orders cancelled after the item has shipped are subject to all standard return policies. You must accept delivery, obtain an Return Authorization number and ship the item back to the correct address. If delivery of an item is refused, both original and return shipping costs are deducted from the issued credit and a 15% restocking fee (minimum $25) will apply. Provided that you have followed our return policy guidelines, you can expect a credit to be issued within 4 weeks. This allows for the return transit time, our processing time and your credit card/bank processing time. If you paid by check or money order, we will issue a check within 30 days.